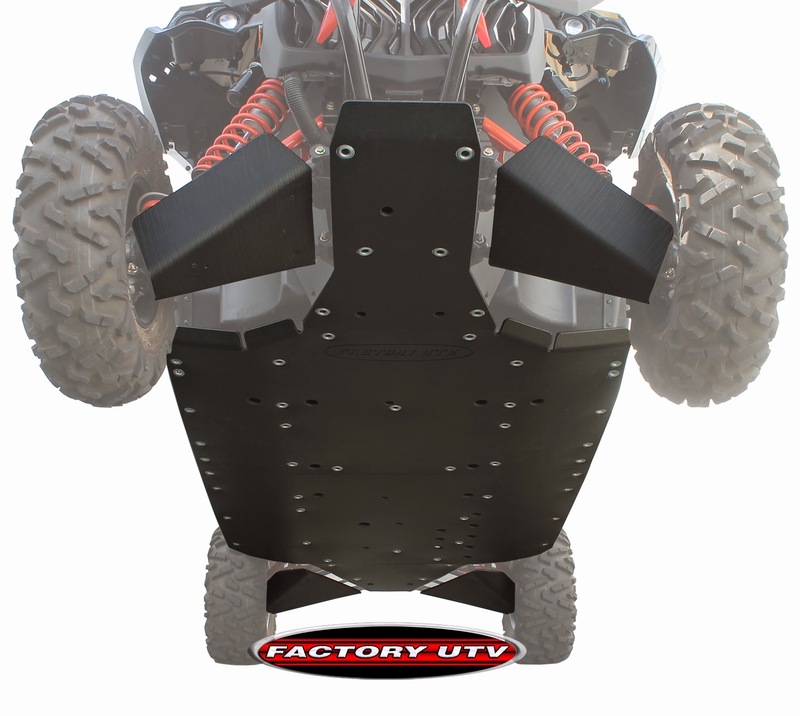 Factory UTV the first name in UTV Protection Products offers the Ultimate UHMW protection for your Can Am Maverick Max. Our Ultimate kit comes complete with Skid Plates and A-Arm Protectors for full undercarriage protection. Available in standard 3/8 in UHMW or ultra tough ½ in UHMW. Protect your ride with the gold standard in UTV protection. This is the same protection Factory Can Am Maverick racer Marc Burnett relied on to win the famed 2014 Baja 500 pro UTV class as well as the San Felipe 250 Championship. In fact Factory UTV Support racers have used the same UHMW kits we sell to the public to protect their race UTV’s and win every major 2014 Pro UTV Endurance Championship race including the Baja 500, Mint 400, King of Hammers, San Felipe 250 and Silver State 300. #FUTVArmy support racers also took 12 of 15 overall podium spots in those races.